You don't need to jump through hoops. In McMinnville, we have a culture of cooperation. It's Easier to Do Business in McMinnville, Oregon. Starting, locating, or expanding a business in McMinnville means working with a city, community, and businesses who collaborate and pursue economic success for all. At the McMinnville Economic Development Partnership (MEDP) we have gathered the resources both new and existing businesses need to prosper. If you can’t find what you’re looking for, give us a call. We’re here to answer your questions. Why do business in McMinnville? Flourish away from the crowds. You’ll find the same amenities as you would in big cities here while enjoying our sense of community. Enjoy becoming a part of our robust business community with a lower cost of doing business. Through local colleges and universities, we have access to a large workforce pool. It's easier to do business here. In McMinnville and at MEDP, we embrace continuous improvement and connect our businesses to the best resources. Oregon has lower taxes for businesses. We have the resources to help educate your workforce. We believe manufacturing is essential for a prospering community. Our community welcomes you and your ideas with open arms. There is room to expand and develop in our urban renewal area, industrial park, and along Highway 18. We have a culture of cooperation. Our community is focused on bringing prosperity to all. Peers are willing to connect and collaborate to build something new. 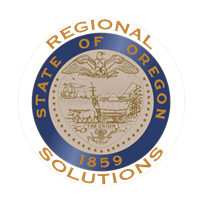 We work with towns throughout the region and state to find the best solutions. Since 2007, the MEDP Board of Directors has recognized the outstanding companies and individuals that have contributed to the the growth of our local economy through workforce development, best practices, and a positive company outlook. 2017 - Heather Richards, NW Rapid Mfg. 2009 - Betty Lou Carrier, Betty Lou's, Inc.
2007 - Sherl Hill, Freelin-Wade Co.
"McMinnville, Oregon is a great place to raise a business and raise a family because it has a great combination of an amazing sense of place and an amazing sense of community without losing the focus upon business. It straddles the great combination that businesses, active community members. and family members are looking for."